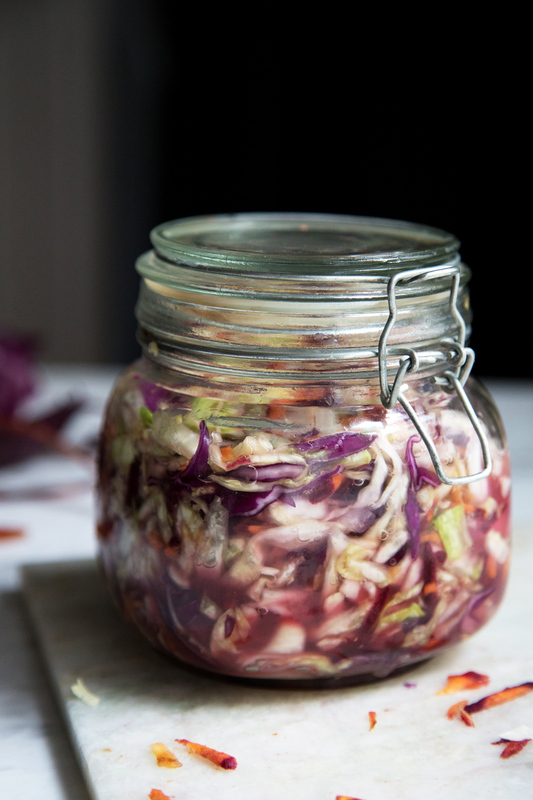 As there’s a fantastic resurgence in the consumption of fermented foods, I wanted to share with you my simple Sauerkraut Recipe. 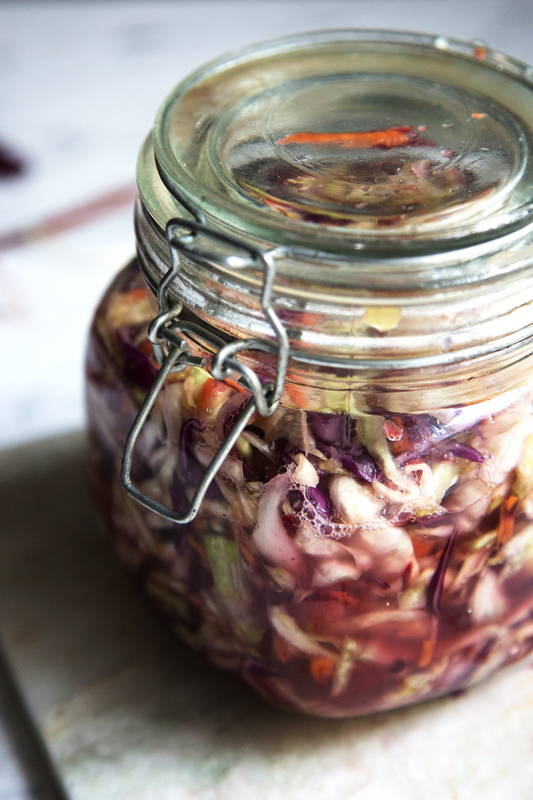 Fermented foods and drinks have been part of the human diet for hundreds if not thousands of years, only really going out of fashion with the advent of the refrigerator. Before we were able to keep foods fresh by refrigeration, people would ferment foods, in order to preserve them and be able to enjoy them out of season. Through the fermentation process a number of bacteria develop which are hugely beneficial for us when ingested. Salt plays a critical role in traditional fermentation by creating conditions that favour the good bacteria, preventing the growth of pathogenic microorganisms. 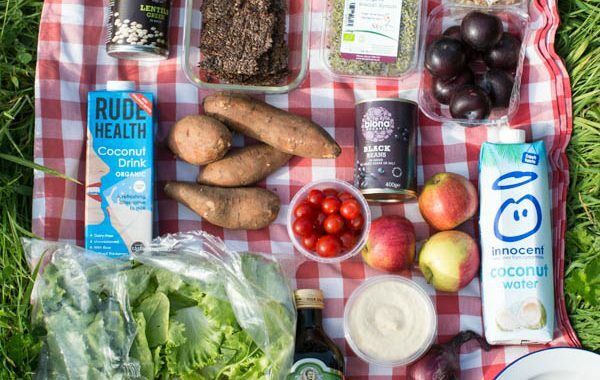 It is interesting to note that as a whole, the population of the Western World has a microbiome with far fewer strains of bacteria compared with cultures which consume a diet rich in whole foods. Research is now suggesting that many of our chronic illnesses – including autoimmune diseases and diabetes, are directly related with the state of our gut microbiome. Evidence-based studies have also shown that probiotics therapy may be beneficial in helping combat gastrointestinal health conditions such as diarrhea, gastroenteritis, irritable bowel syndrome and inflammatory bowel disease. As well as being beneficial to our health, the gut microbiome also inhibit pathogenic bacteria from taking hold, protecting us from bacteria such as Listeria monocytogenes, Staphylococcus aureus and Bacillus cereus. 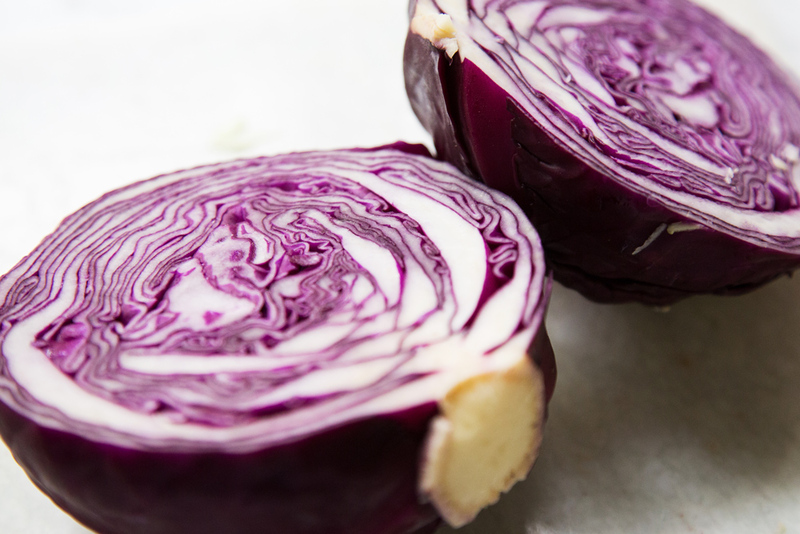 In our recent past in the West, our diets changed to predominantly processed foods lacking in prebiotics and our gut microbes have definitely suffered. Additionally the omission of fermented foods from our diets have added to the deterioration of the integrity of the gut bacteria. So lets be kind to our little friends and eat some fermented foods. 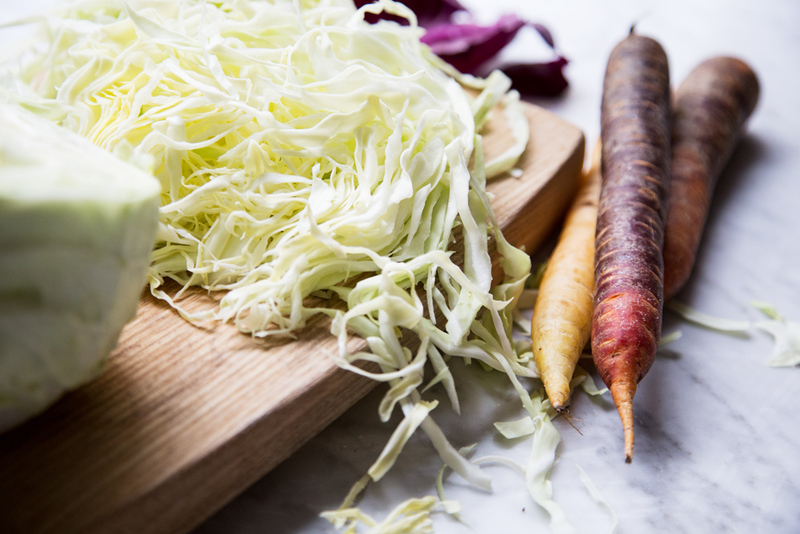 Sauekraut, miso and kimchi, or drinks like kombucha and kefir are all incredibly beneficial and we should regularly include them in our diet. 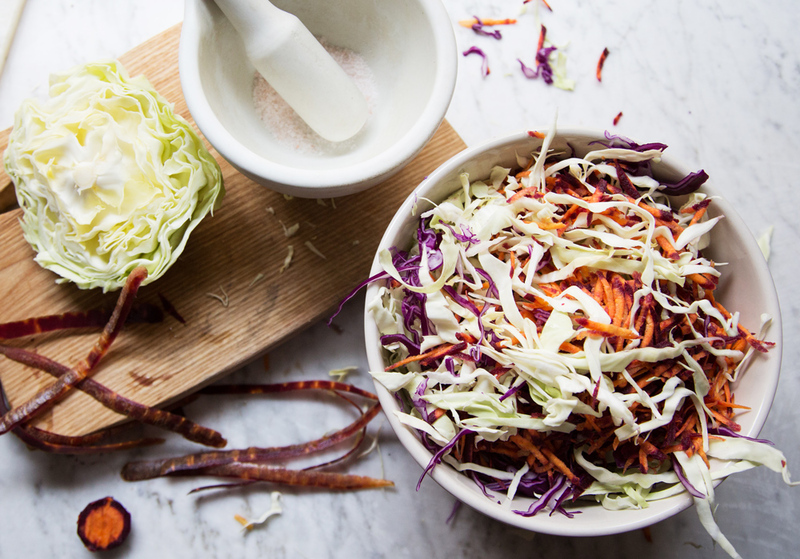 Trim, core and finely shred the cabbage and the carrots and then mix it with the salt in a large bowl. Massage the vegetables with the salt for 5-10 minutes until water is released. Transfer the grated vegetables to your jar. If the liquid does not cover, add some more salt water (approx 1 level tsp to 200ml water ratio). 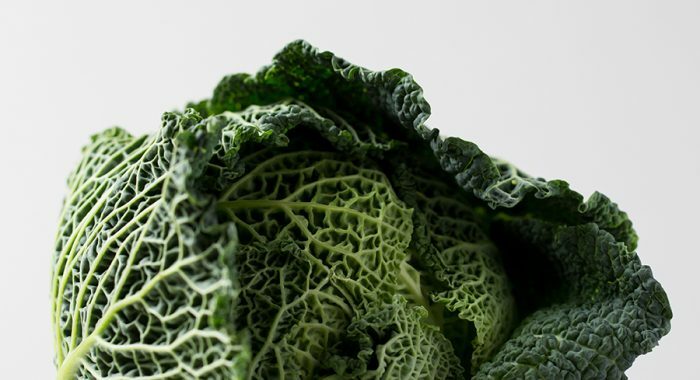 Lay a whole cabbage leaf on top of the shredded cabbage and pack it down as tight as you can. You can use the cabbage core to keep the mixture pressed down if there is a space at the top of your jar. Keep in a dark cupboard for 1-2 weeks, occasionally opening the lid allowing some of the gas to escape, otherwise you might have an explosion! !